That being said, it is our strong desire to ship a high-quality PowerShell Core 6.0 by the end of the year that you can feel confident about deploying in production. 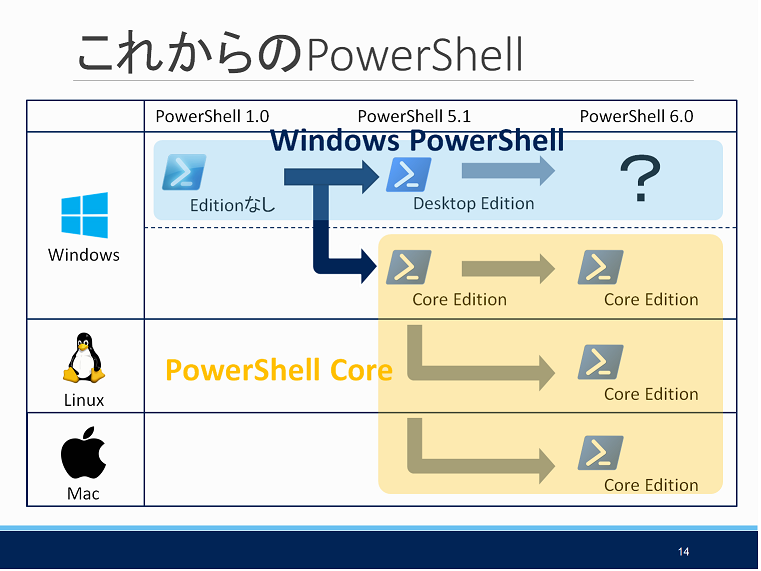 The goal with PowerShell Core 6.0 and all the compatibility shims is to supplant the need for Windows PowerShell 6.0 while converging the ecosystem on PowerShell Core. So no, we currently don’t have any plans to do a Windows PowerShell 6.0. 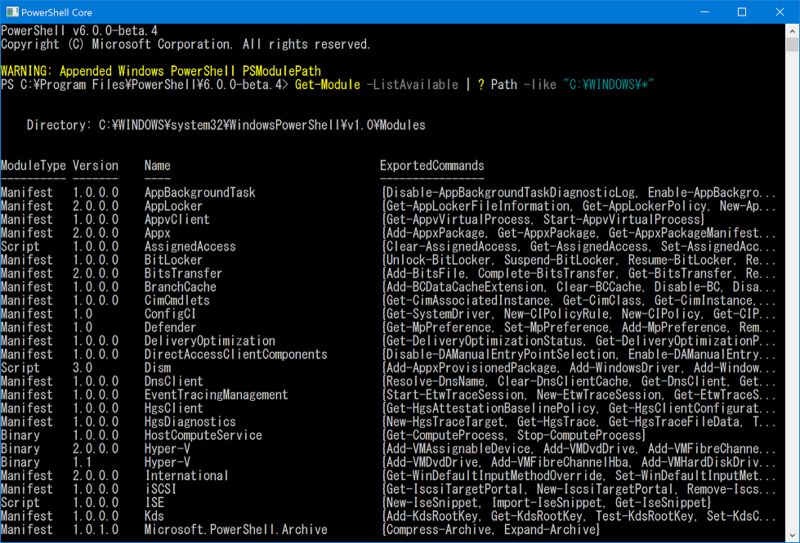 Windows PowerShell 5.1, much like .NET Framework 4.x, will continue to be a built-in, supported component of Windows 10 and Windows Server 2016. However, it will likely not receive major feature updates or lower-priority bug fixes. Get-Module -ListAvailable | ? Path -like "C:\WINDOWS\*"